we have developed a suitable, cost-effective design and construction specification that is built to fit your long-term needs. IF YOUR ROOF NEEDS TO BE REPLACED DUE TO A CATASTROPHIC EVENT OR YEARS OF WEAR AND TEAR HAVE CAUSED SERIOUS IRREVERSIBLE DAMAGE, WE HAVE DEVELOPED A SUITABLE, COST-EFFECTIVE DESIGN AND CONSTRUCTION SPECIFICATION THAT IS BUILT TO FIT YOUR LONG-TERM NEEDS. Although minor issues such as ceiling stains do not always call for a full commercial roof replacement, it is important to consider the pros and cons of treating only certain spots. It may be the case that simpler repairs will not be enough to restore your roof to full functionality and efficiency. 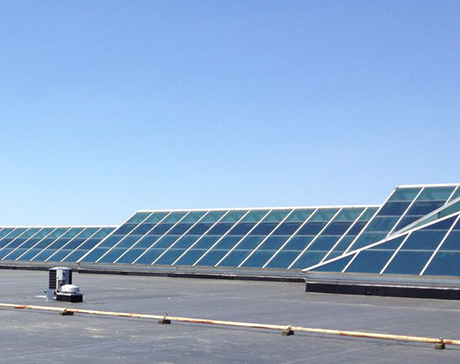 In certain cases, damage will be severe enough to necessitate a complete commercial roof replacement. Our team will conduct a 126-point inspection to uncover all of the cracks, leaks, stains and other deterioration that is present. Our technicians focus on the integrity of the entire structure because we want to make sure that our solution will be sustainable for you in the long-term. 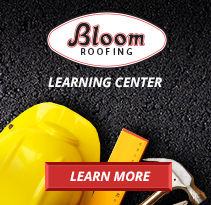 Having laid over 150 million square feet of fault-free commercial roof, Bloom Roofing has all the industry knowledge needed to make a perfect roofing partner for your commercial construction project. Our job inspectors and managers are dedicated, experienced and committed to managing each commercial roof construction project as efficiently as possible. We follow job specs precisely which allows us to provide a quality experience for all parties involved. We understand that installing the roof is just one element of a full commercial build out. We create and follow plans that do not interfere with other aspects of commercial building construction. We are dedicated to finishing a job as quickly as possible without sacrificing quality. We pride ourselves on minimizing operational downtime for our clients. We guarantee that each of our job sites minimize risk from every angle and feature a team that has been rigorously trained on the latest job safety precaution measures. 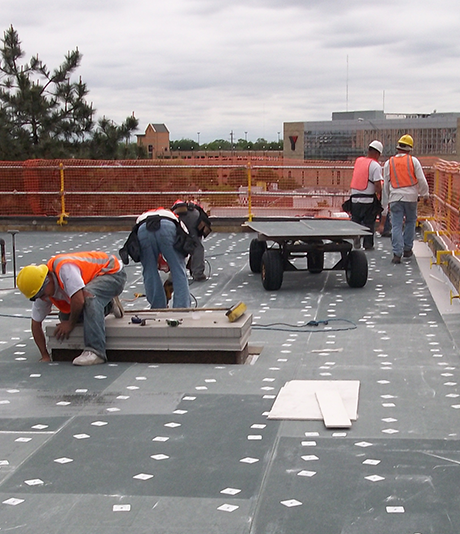 LOOKING FOR A COMMERCIAL ROOFING CONSTRUCTION PARTNER?